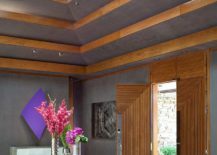 We always tend to put our best foot forward when it comes to home design and few things help us make a better impression in this regard than the smart entry room. 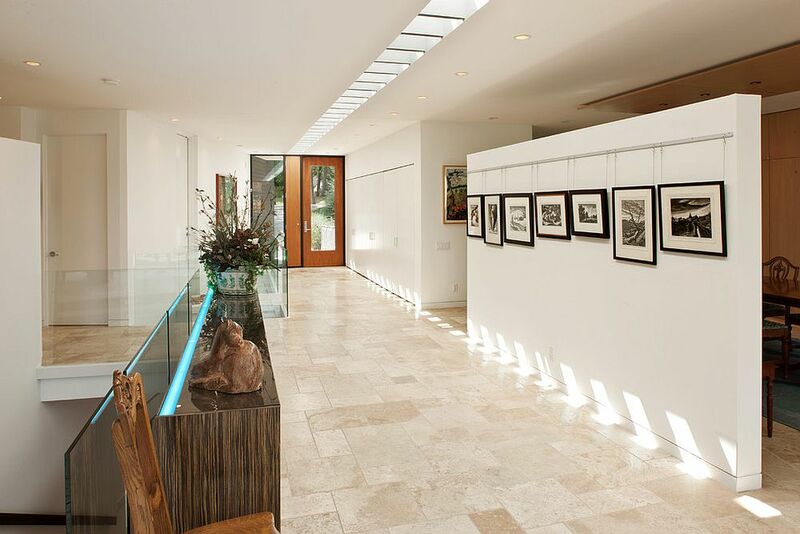 The entry is a space that does much more than welcome your homes gleefully. 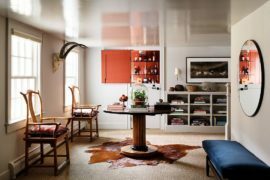 It provides a space to hang coats and hats while tucking away those dirty boots and weathered umbrellas. 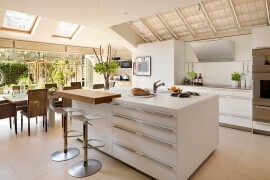 Some entries also have space for a smart bench with additional storage options. 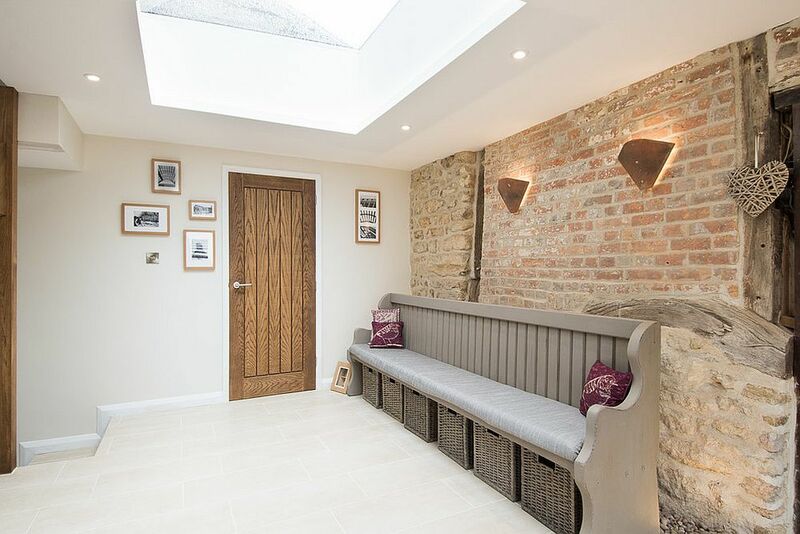 Adding brightness and elegance to these multi-tasking and inviting spaces is the skylight – a perfect way to usher in plenty of natural light. 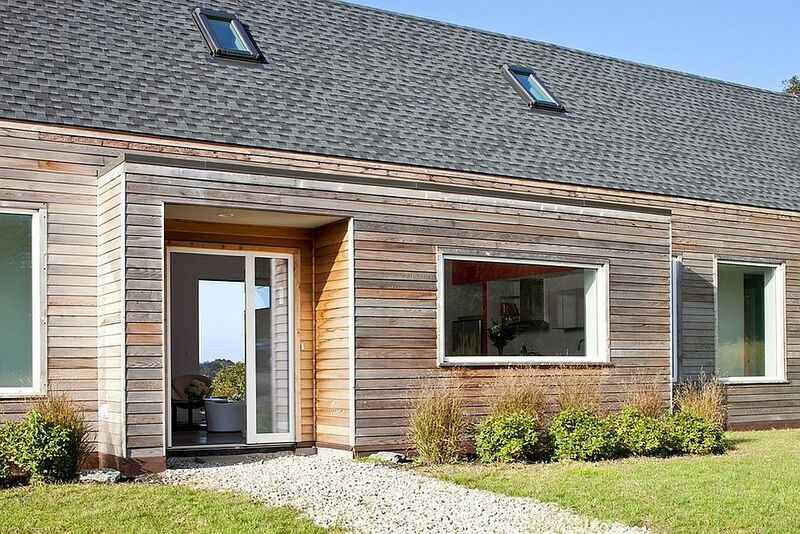 Not a fan of the understated? 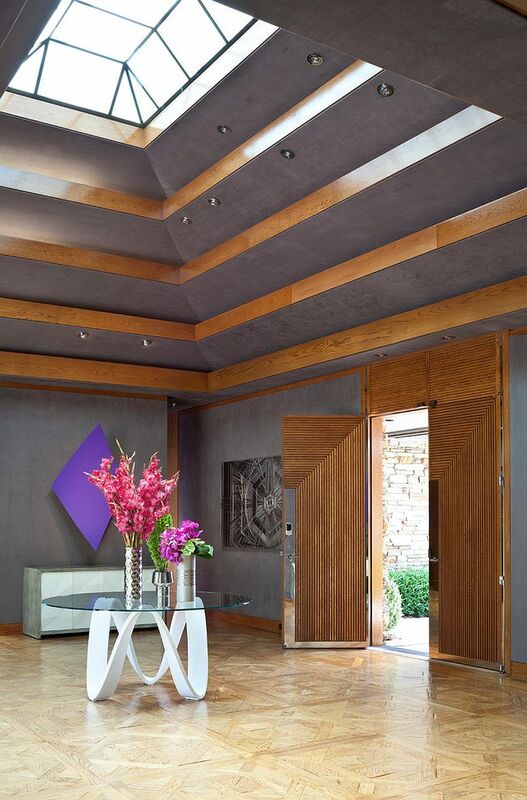 Not to worry as the skylight can be combined with a stunning entry room to wow your guests even before they step into the living area. 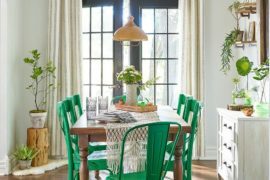 This works even better in entries with themes such as Mediterranean, Victorian or even modern art deco with an air for flair! 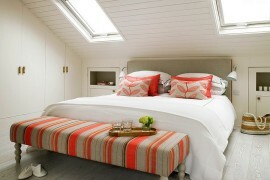 Make sure though that the design of the skylight matches with that of the entry both in terms of its style and its hue. 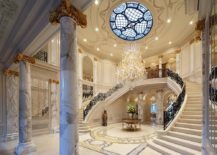 Ornate skylights with tinted glass look great in classical settings with a sweeping presence while a beautiful ceiling with a smart skylight is right for the contemporary space. 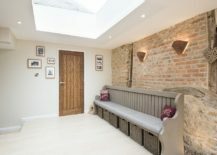 Who says that you have to go small with your skylight in the entry room! 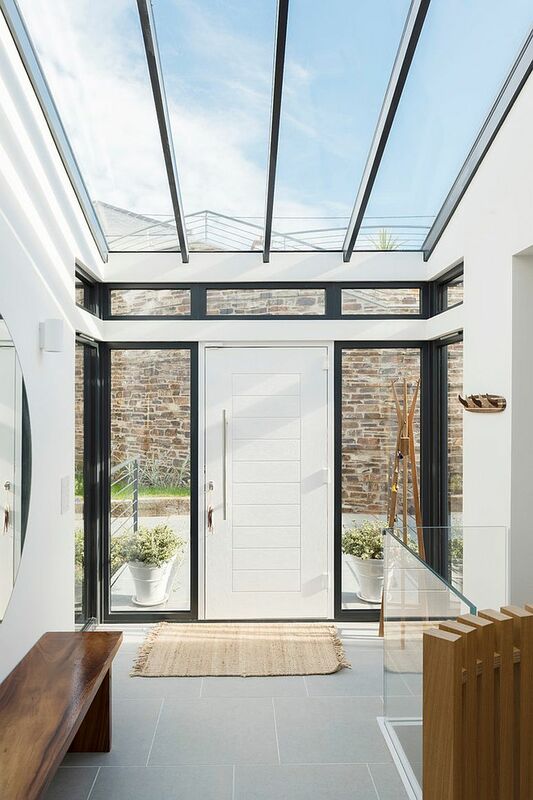 The grand skylight that turns almost the entire ceiling into a glass roof is a showstopper that can give any modern entry room an industrial chic vibe. 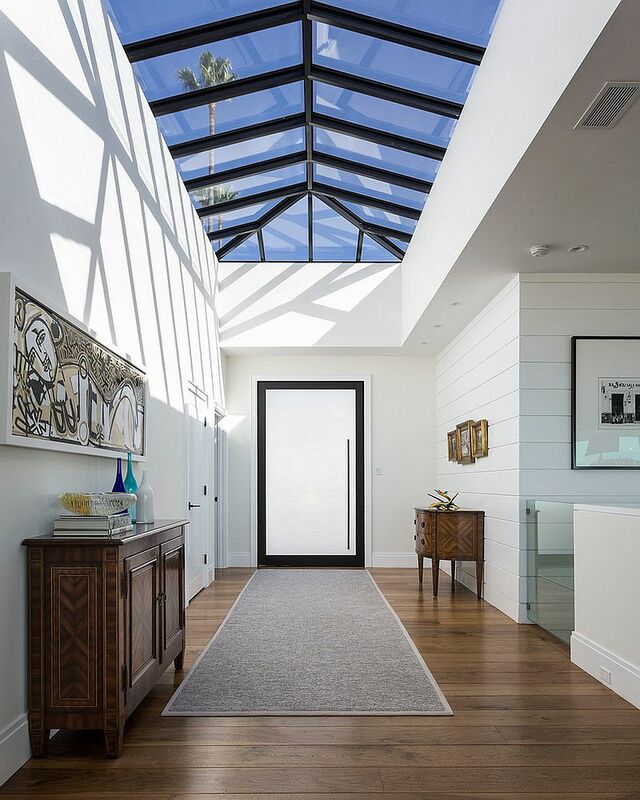 A stunning all-glass roof steals the spotlight instantly and it can usher in a flood of natural light into the living room as well. 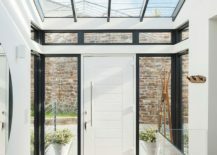 Some of these amazing skylights also come with retractable designs, allowing you to bring the night sky and the star-studded magic indoors. 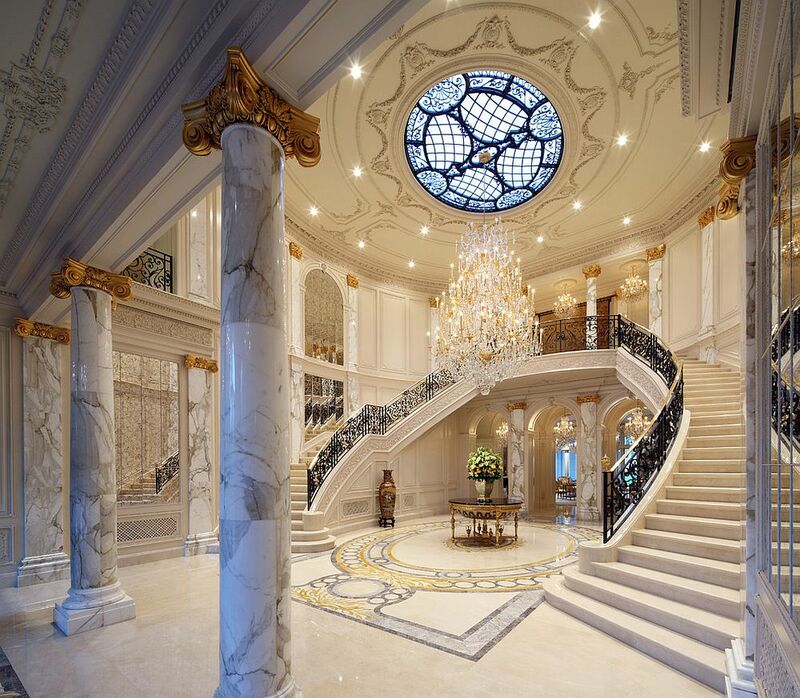 For those who love the extravagant, this is an undoubted favorite. 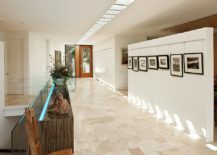 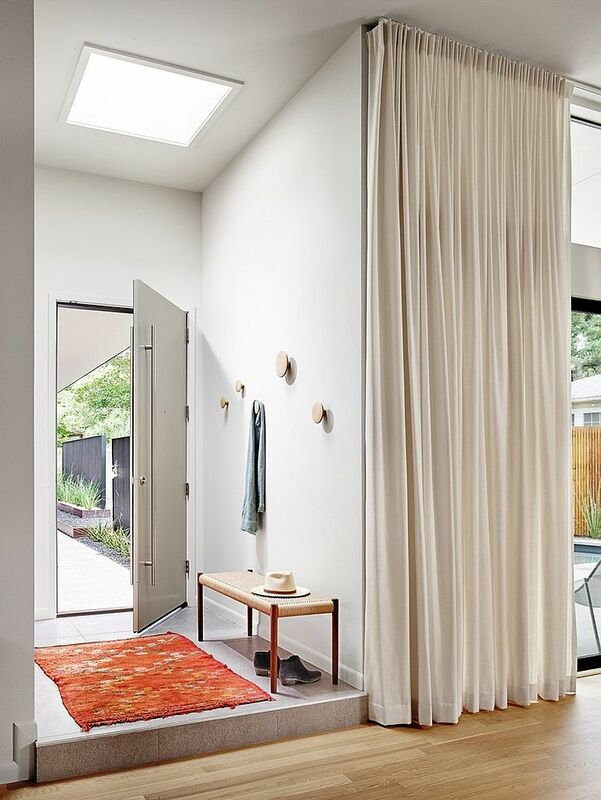 The small skylight for the modern entry can be added in multiple ways; from the one in the corner to the little skylights that can be arranged in a series to make a bigger impact. 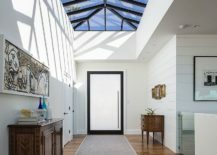 If you want a brighter entry room without placing too much importance on the skylight, push the skylights to the corner or cover the skylight with a pendant to combine different sources of light. 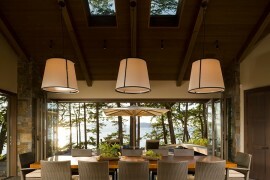 27 Ingenious Dining Rooms That Tap into the Brilliance of Skylights! 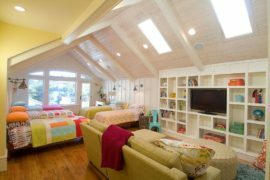 23 Stylish Bedrooms That Bring Home the Beauty of Skylights!